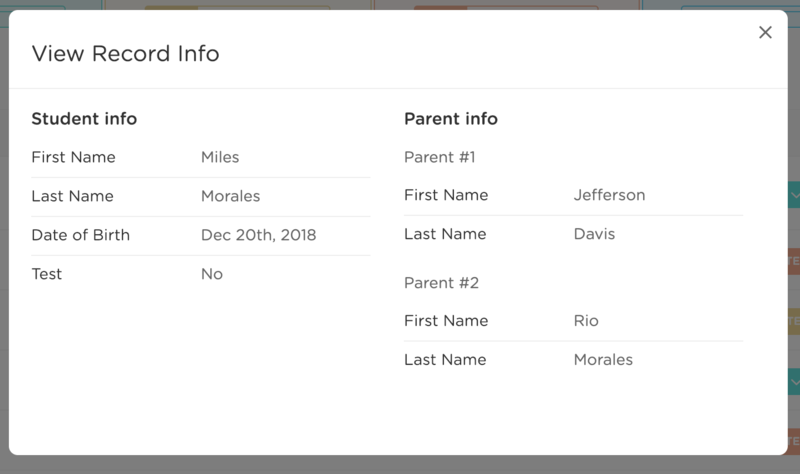 Once families have been added to your enrollment pipeline, you'll be able to take a few specific actions with their records. You can view the basic information on the record, or click to edit these fields. You can choose to receive a payment for a family and mark them as paid. It's possible to mark them paid without indicating the payment amount by using the "Mark as Paid." Families who have paid will appear with a green check and the amount will be indicated in blue. You can click on the amount to view the payment and (if needed) issue a refund or edit the amount. Keep in touch with parents as they continue through the process of enrolling in your school by sending them an email using our simple email editor. This action works well when you would like to clean up your enrollment pipeline or clear duplicate records. At this time, archived records will not be accessible (but may be at a future date).